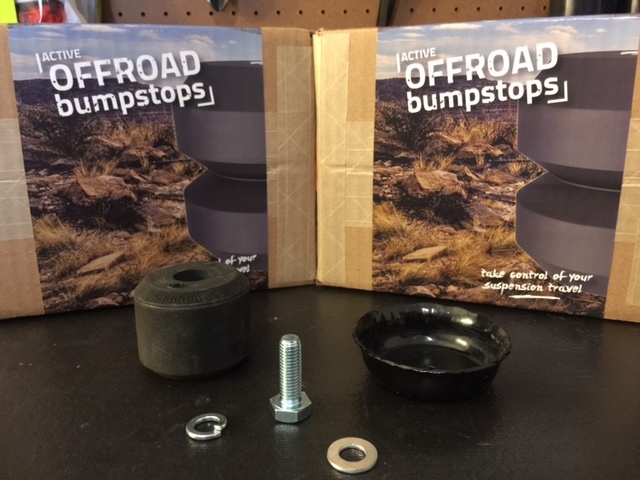 Timbren Industries has developed a bumpstop for the avid off-roader or the regular working guy that hauls heavy loads. They are easy to install and compliment any lift kit. They are designed to boost the bottom-out resistance while delivering a smooth engagement & disengagement. In other words, you won’t have that hard hit you get when you bottom out with the OEM bumpstops. We all know those feel like you’re hitting metal on metal. With that being said, let’s get started! For the front, the kit comes with a rubber bumpstop, a metal cup for the bumpstop to sit in, a bolt, lock washer & a regular washer. 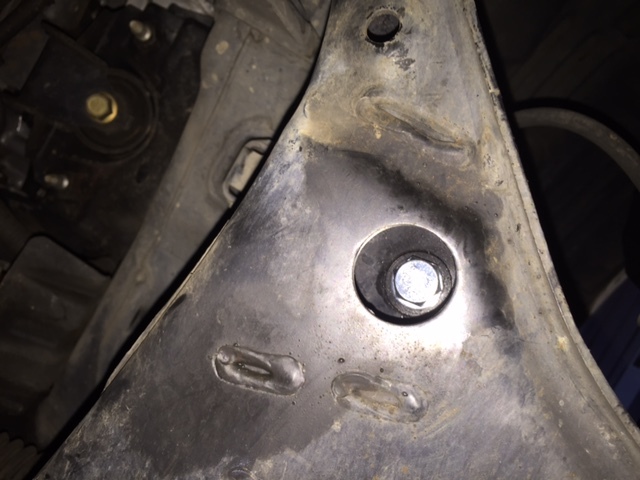 You’ll need a 17mm socket for the Timbren supplied bolt, a 7/16” drill bit & a ½” deep socket to remove the OEM bolt (For the Nissan Frontier, you will not need the lock washer). Depending on your truck’s height, you may not have to jack it up. I have a 2” lift on the front & it’s at stock height in the rear. I do have 285/65/16 tires, so the overall height of the truck is a few inches over stock. It’s enough to not have to break out the jack! If you need to lift your truck to get under it, do so. Just make sure you put it on jackstands for safety. Don’t rely on just your floor jack! First, you will need to locate your bumpstop. 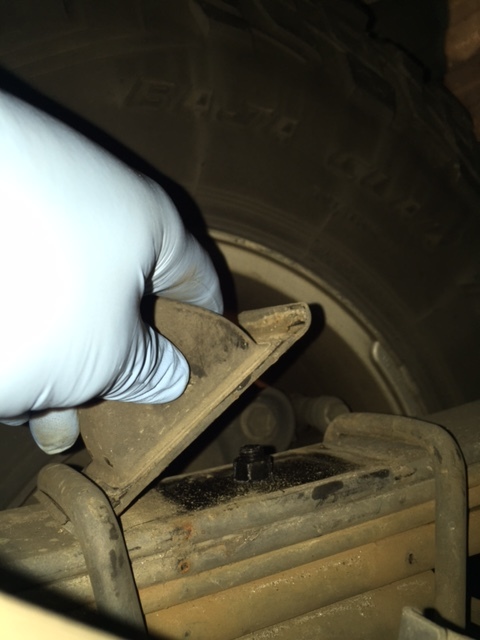 It’s the small, flat, rubber piece that’s on top & to the rear of your lower control arm. 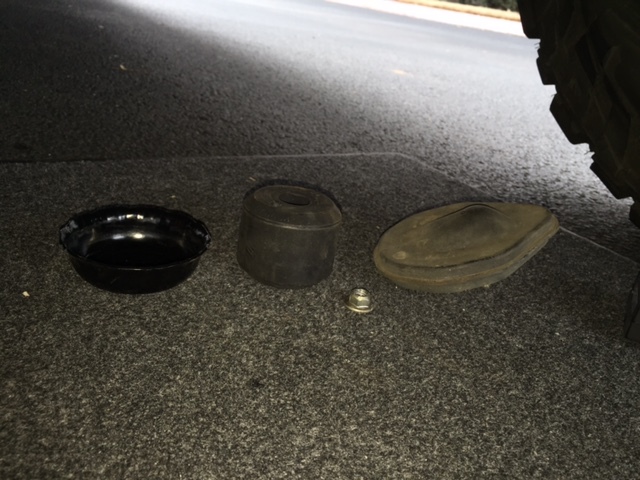 For me, it was a lot easier to locate & remove the ½” nut that is attached to the bottom of the bumpstop by coming in under the front of the truck on my back. With the nut being seized from years of road debris, you want to get at the best angle you can to remove it. I did remove the front tire & come in through the fender well, but I couldn’t get a good angle on it. I decided it was best for me to slide under the front of the truck so I could see what I was doing & not risk stripping the OEM nut. I sprayed it with some anti-seize spray to help loosen it up. 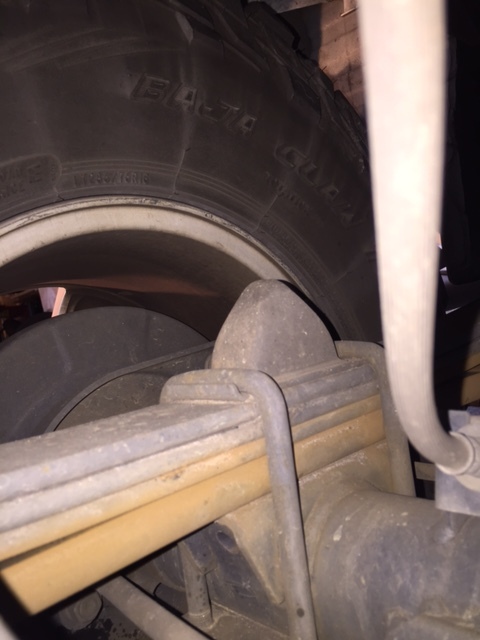 When you get under the lower control arm, this is what you’ll see. 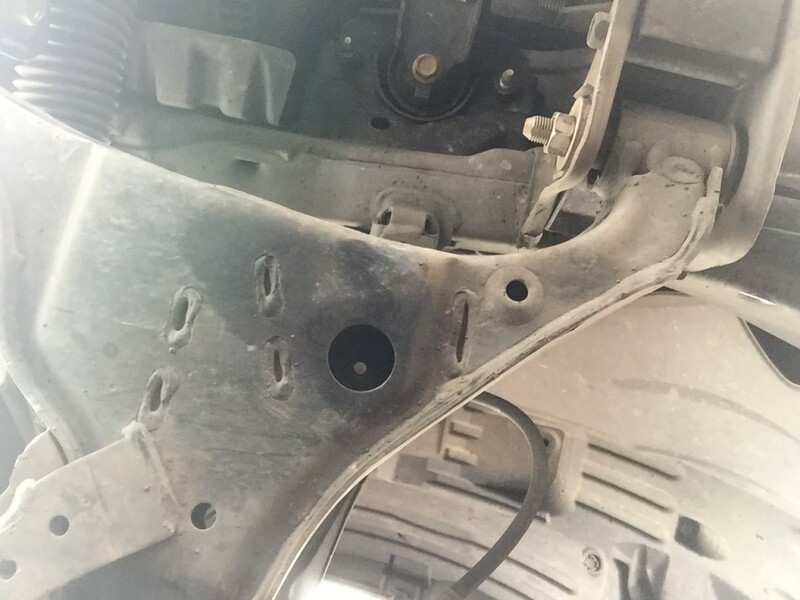 It’s a hole that has the ½” OEM nut in it that’s attached to a bolt that holds the bumpstop on. Go ahead & remove the nut with your ½” deep socket. Once you remove the nut, simply remove the bumpstop. As you can see, there is a big difference in the two. Now that I have removed the OEM assembly, it’s time to install the new Timbren Active Offroad Bumpstops! Before I started the reassembly, I had to drill out the original hole so it will be big enough to house the new hardware. You will need to use a 7/16” drill bit to bore out the OEM hole. It’s really easy because the metal is pretty thin. Once you’ve drilled the hole out, its time to assemble. Line the Timbren bumpstop up with the hole by sitting it on top of the lower control arm. 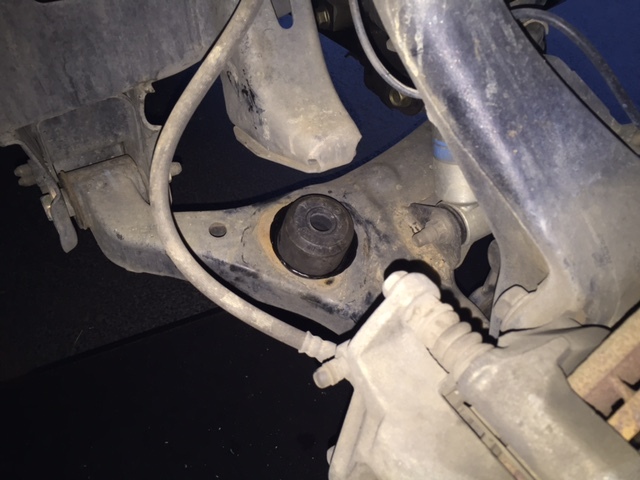 Then put the supplied bolt & washer through the bottom of the lower control arm until you feel it touch the bottom of the bumpstop. 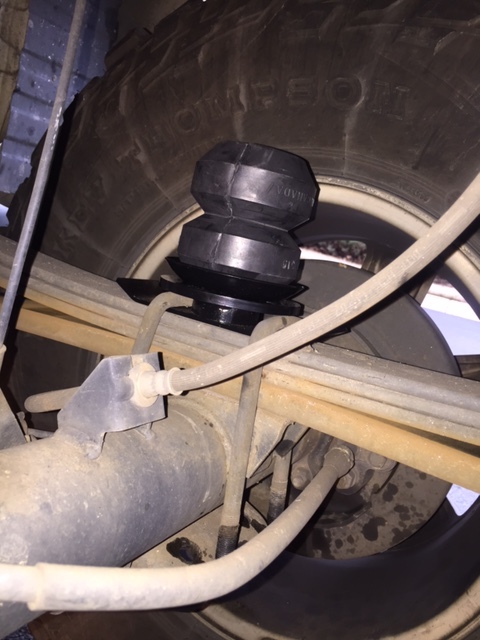 Holding the bumpstop with one hand & using a ½” deep socket to turn the bolt, screw the two together. 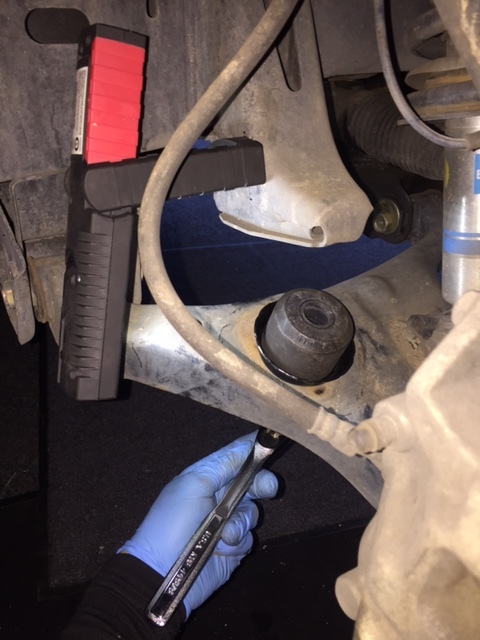 The bumpstop is threaded, so you’ll start to feel it catch once you get it going. Once it starts to snug, you won’t have to hold the bumpstop anymore. Here is a view from the bottom with the bolt seated. That’s it! The front is complete. Now that the front is complete, it’s time to start on the back. The front was easy & the back is even easier! Here is the rear Timbren assembly. The rear assembly comes with a 7/32” allen head bolt, 9/16” nut, a Timbren bumpstop & two metal brackets (the metal brackets are powder coated for a lasting finish). You will need a 9/16” deep socket with extension, a 11/16” socket & a 7/32” allen wrench to complete this install. You will need to preassemble these items before installation. In this order start with the bolt. Insert it into the bottom of the large bracket. Then sit the “bowl” looking metal piece on top of the bracket. Then you will sit the bumpstop on top of the metal bowl. 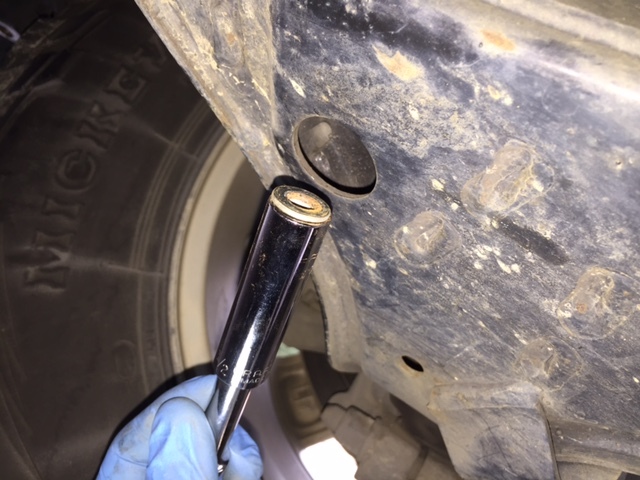 Using your 9/16” deep socket, tighten it on to the bolt. You will need to hold the bolt with your 7/32” allen wrench. Here is what it looks like looking down into the bumpstop hole after tightening the assembly together. Once the assembly is together, it’s time to remove the OEM bumpstop. First you’ll need to locate it. It’s the small rubber triangle sitting above your rear axle. It’s held on by 2 U-bolts. Once you’ve located it, you’ll want to spray the nuts with some penetrant. I let mine sit for 5 minutes. You can go ahead & remove 2 of the nuts then loosen the other 2. You don’t have to remove the u-bolt to do this, just let them hang once you’ve removed the nuts. Then, you’ll need an 11/16” socket to remove the 2 nuts from 1 u-bolt & then you’ll loosen the other 2. 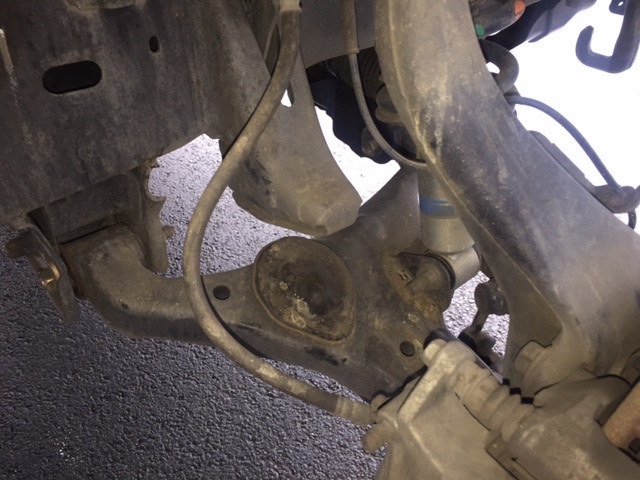 I found that you do not have to remove both u-bolts to complete this install. 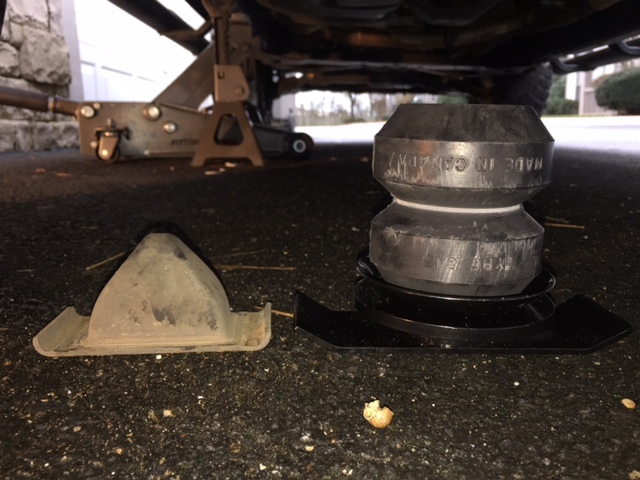 You’ll loosen one of them enough to slide the OEM bumpstop out & the new Timbren bumpstop in. 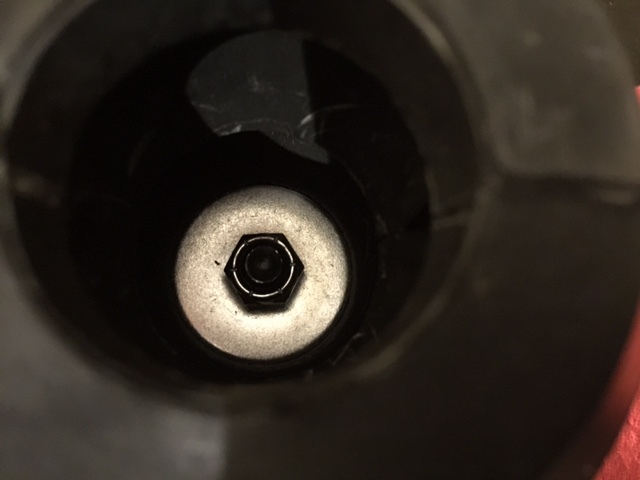 Make sure to inspect your OEM u-bolt assembly for wear, bends, cracks etc. If your truck has a lot of hard miles on it or you see any issues with them, I would advise going ahead & replacing the u-bolt assembly. Now that the OEM assembly is removed, slide the Timbren assembly in with both u-bolts holding it into place. Torque all 4 nuts in sync until the 2 u-bolts are clamping the new Timbren assembly tight to the top of the leaf springs. Make sure to check your vehicles manual for torque specs. Once you’re finished tightening down the rest of the u-bolts, make sure to double check all your work! After a few days of driving to work & back, I checked all the bolts to make sure they were still tightened down. 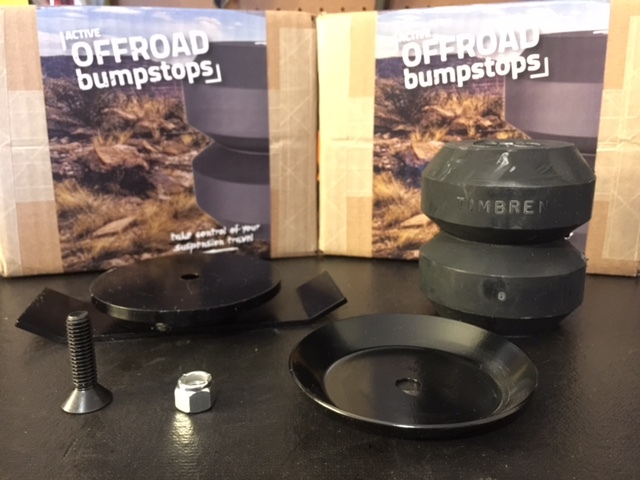 In closing, Timbren designed these off-road bumpstops to complement your off-road set up or to aid trucks that haul heavy loads. 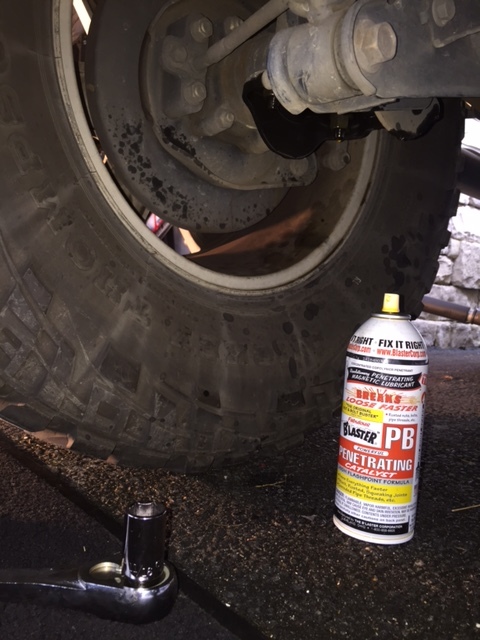 If your rig is bottoming out from everyday driving, these will not solve your problem. 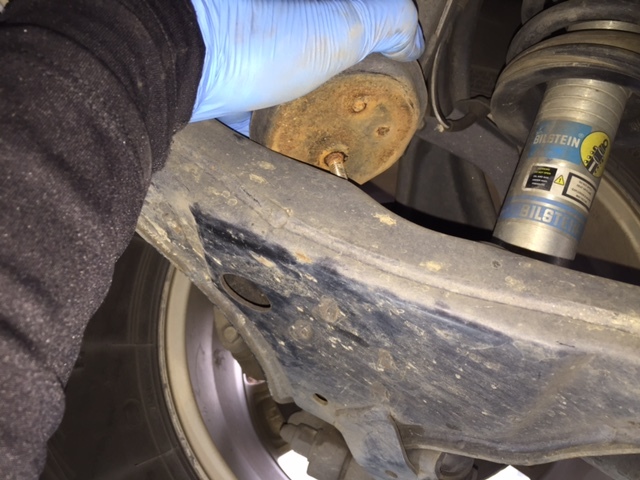 More than likely you need to address your shocks & leaf springs. Once you know your rig has a good foundation, the Timbren Active Offroad Bumpstops will be the icing on the cake! Even with good suspension, you can still bottom out depending on what you’re doing. That’s where Timbren comes into play and can really smooth out those harsh hits. There is nothing worse than feeling that metal on metal type of hit in your rig. Whether your suspension is compressing or rebounding, the Timbren Active Off-road Bumpstops are working to smooth those motions out. Two thumbs WAY up!